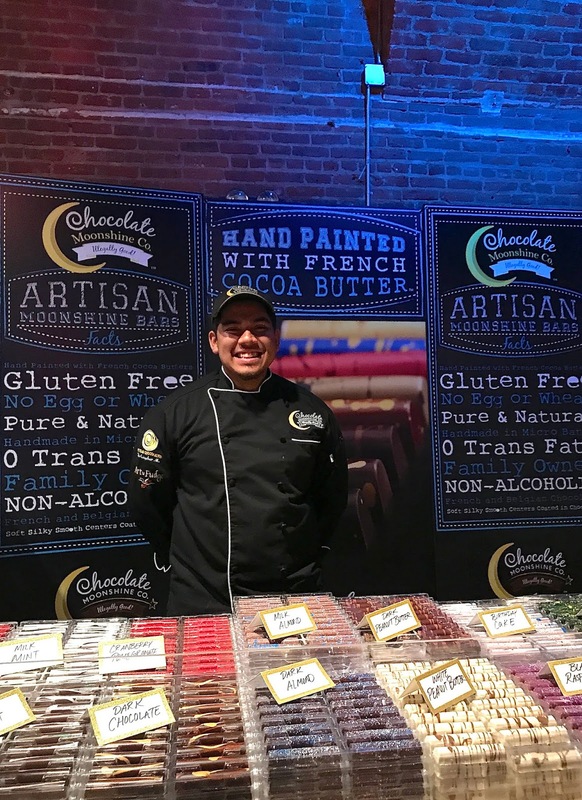 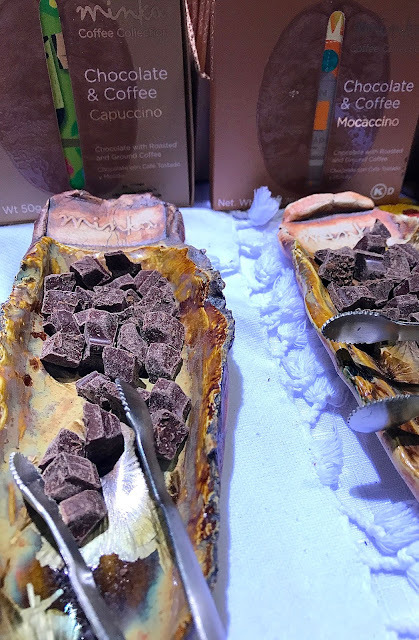 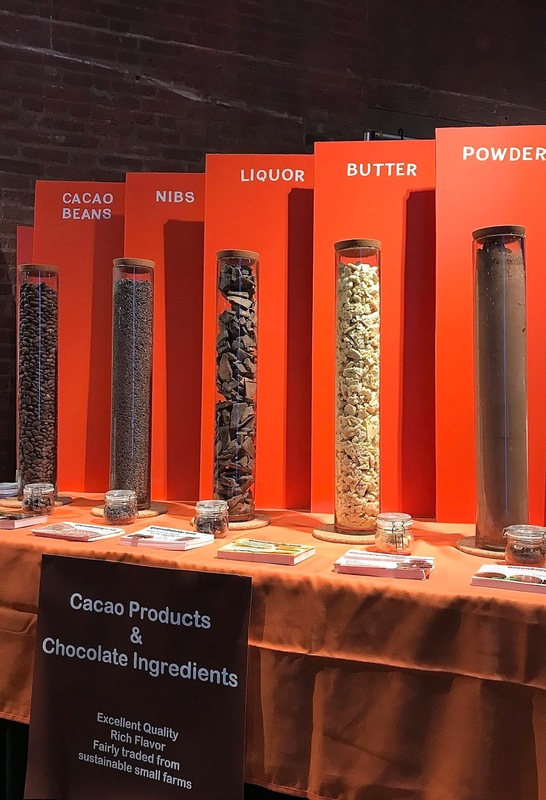 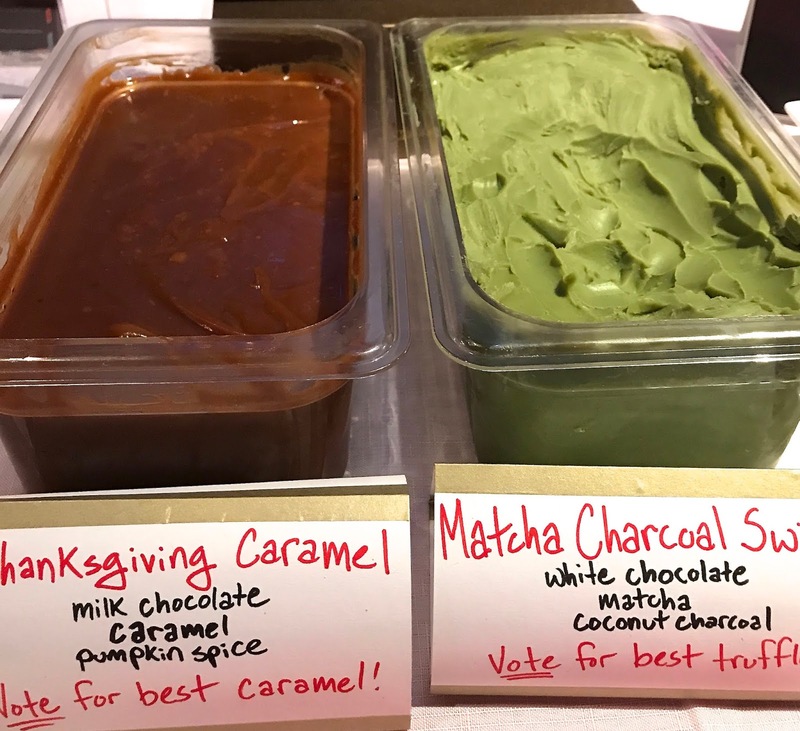 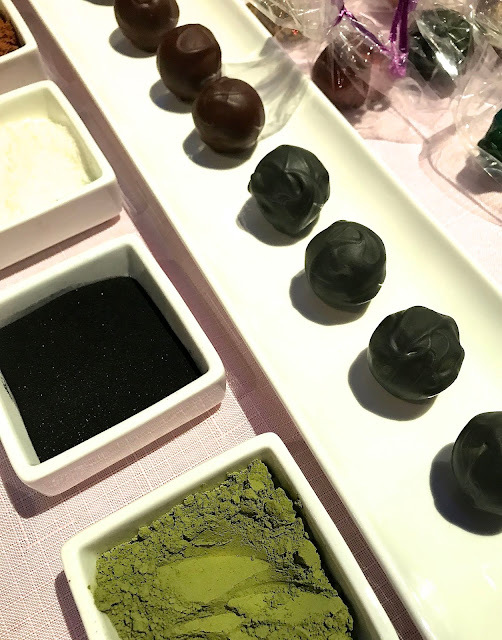 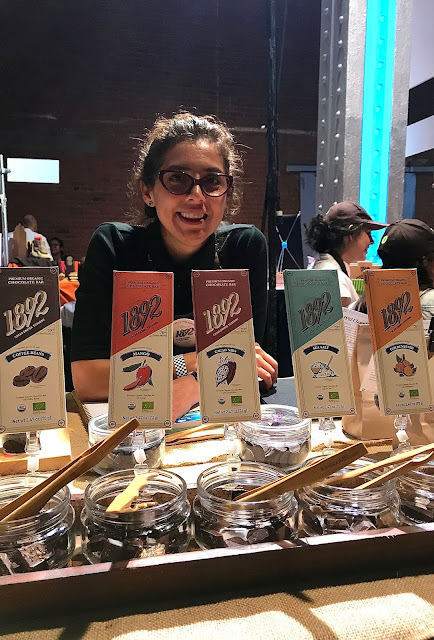 On Friday, October 6th, I got a sneak peek at The Big Chocolate Show 2017 at the Tunnel/Waterfront at 269 11th Avenue. 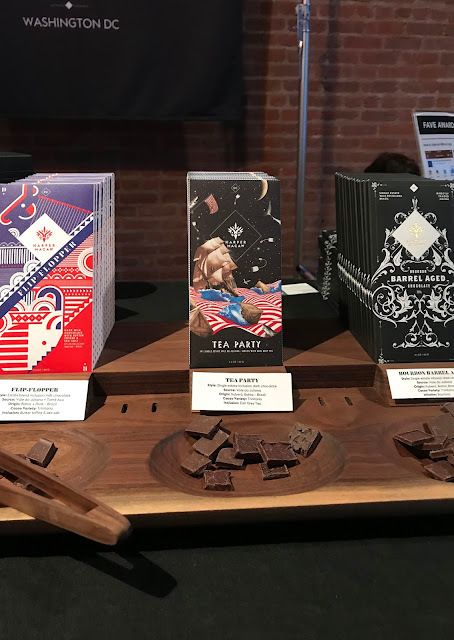 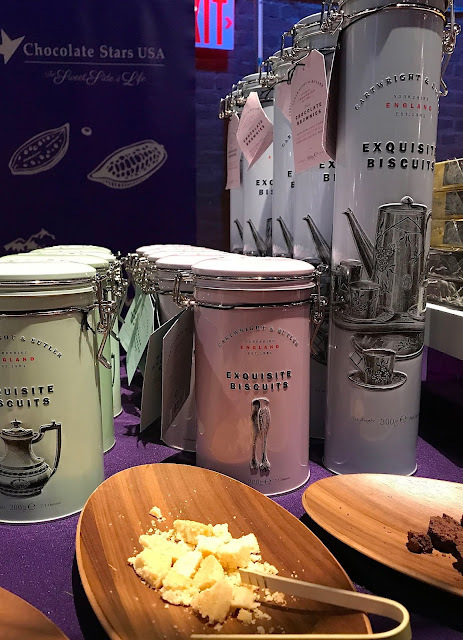 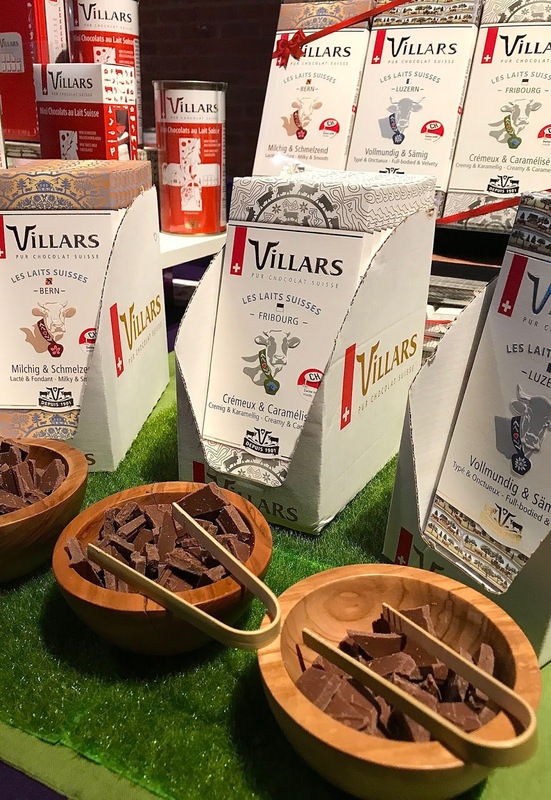 Check out highlights and favorites from the show below, including artistic designs and unique flavors. 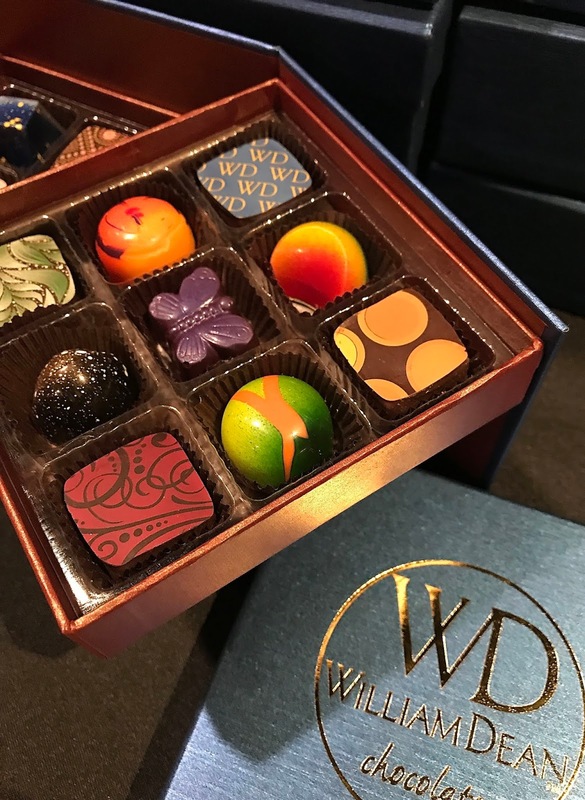 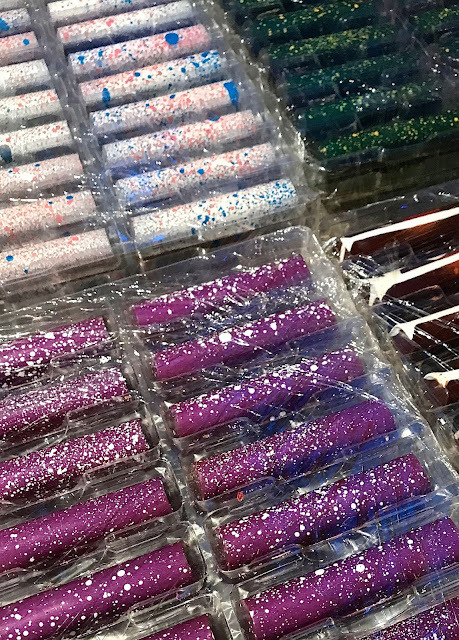 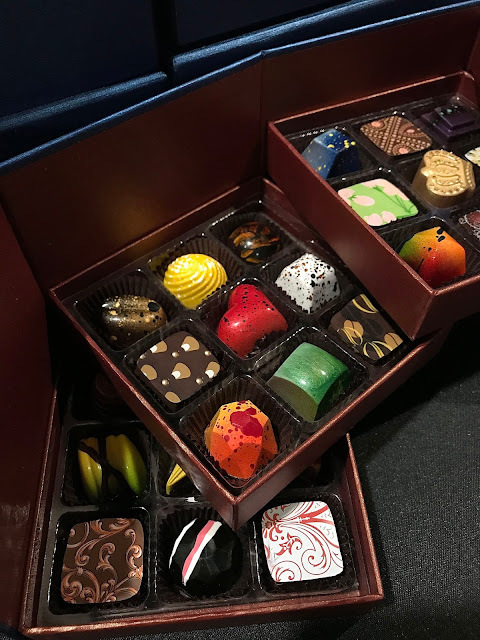 William Dean Chocolates makes hand-made artisan chocolates and other confections. 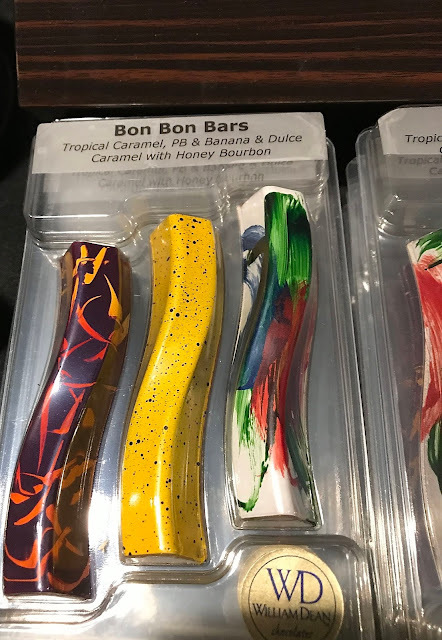 They make everything by hand. 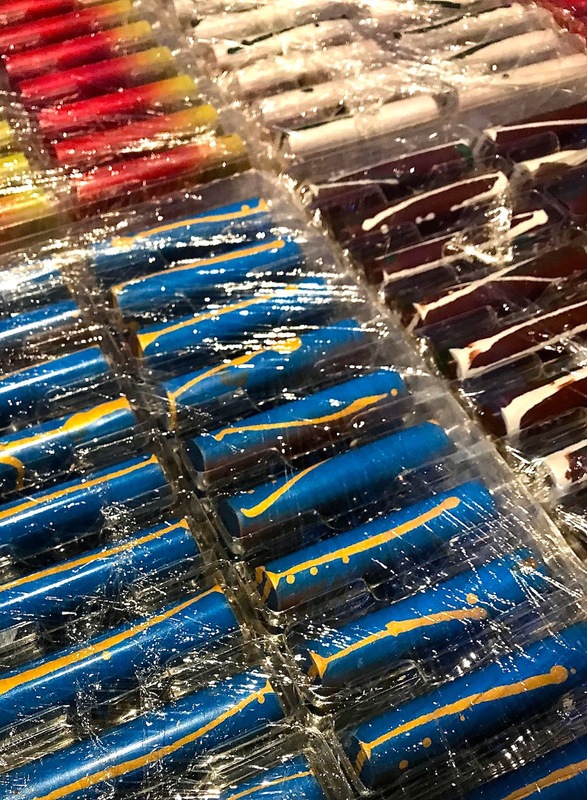 Their chocolate are beautiful, vibrant works of art and taste incredibly fresh! 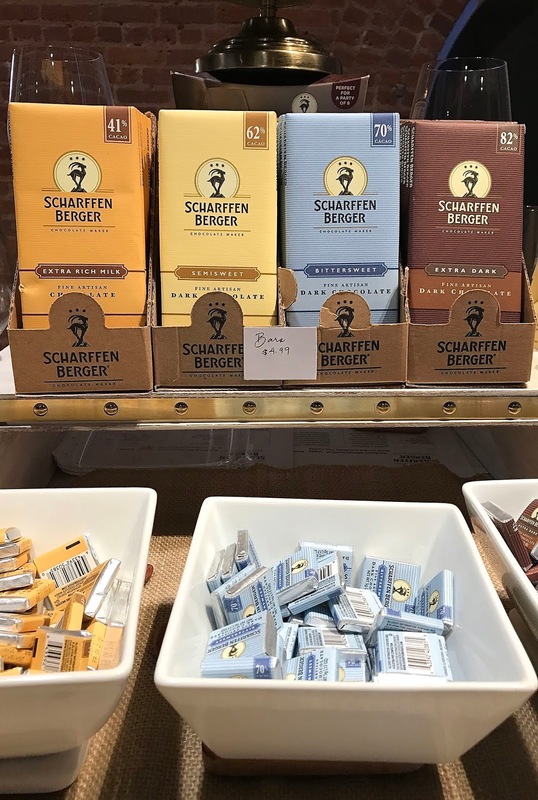 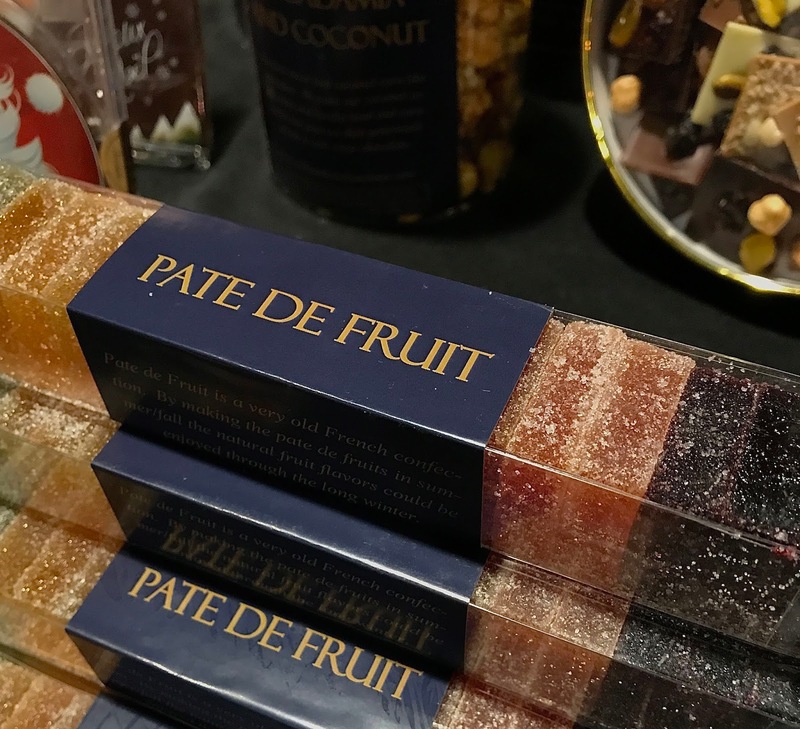 William Dean Chocolates was one of my favorite finds at The Big Chocolate Show! 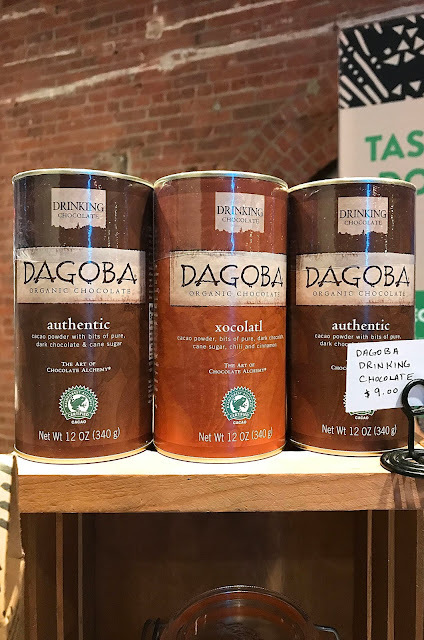 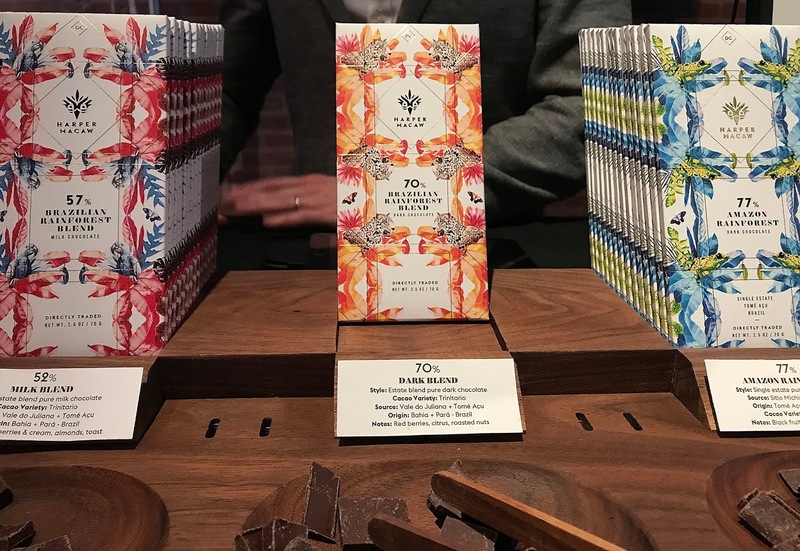 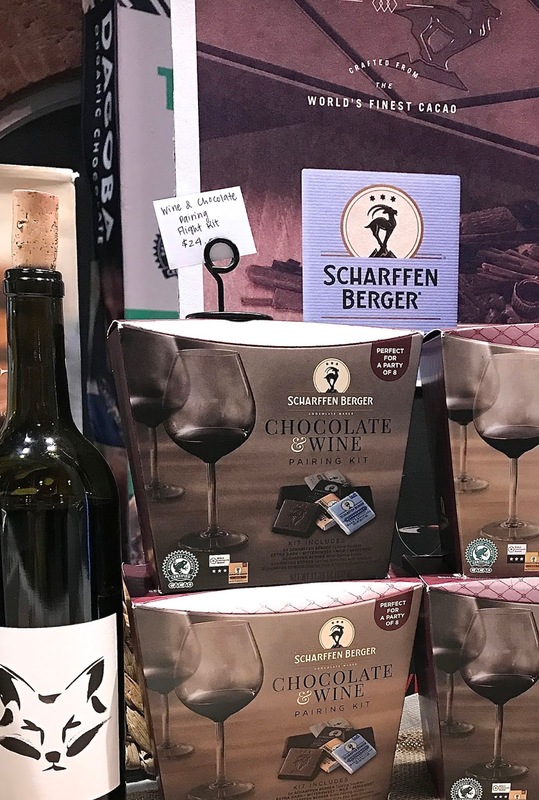 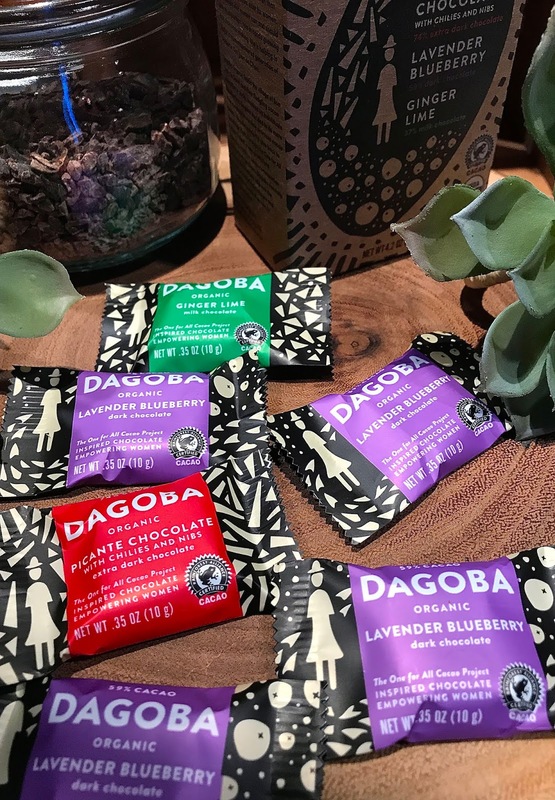 DAGOBA organic chocolate has come out with two new flavors, Picante Chocolate with chilies and nuts and Lavender Blueberry which I'm really excited about! Chocolate Moonshine Co. makes artisan moonshine bars, hand painted with French cocoa butter. There are a variety of different designs and flavors, gluten free, pure & natural, 0 trans fats and non-alcoholic. 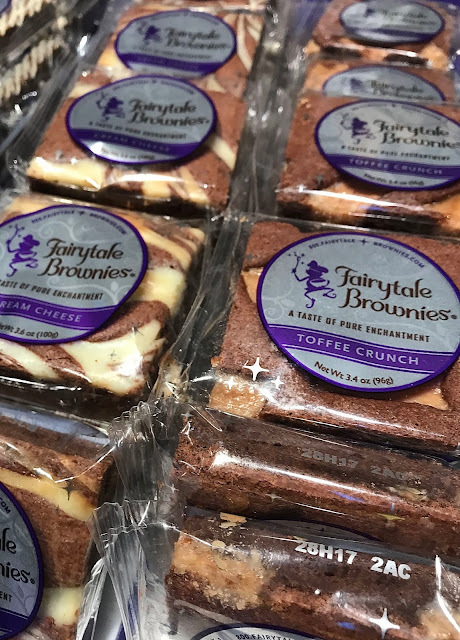 Fairytale Brownies are delicious, individually wrapped brownies. 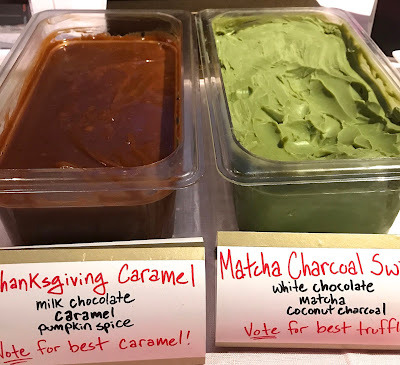 Some of the flavors include Mint Chocolate, Raspberry Swirl, Espresso Nib, Toffee Crunch and Cheesecake Swirl. 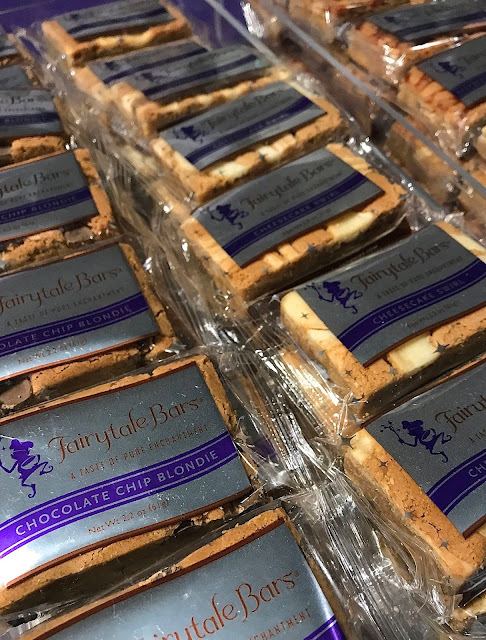 I remember receiving a Fairytale Brownies assorted gift package that I had received when I first was hired for my current job. 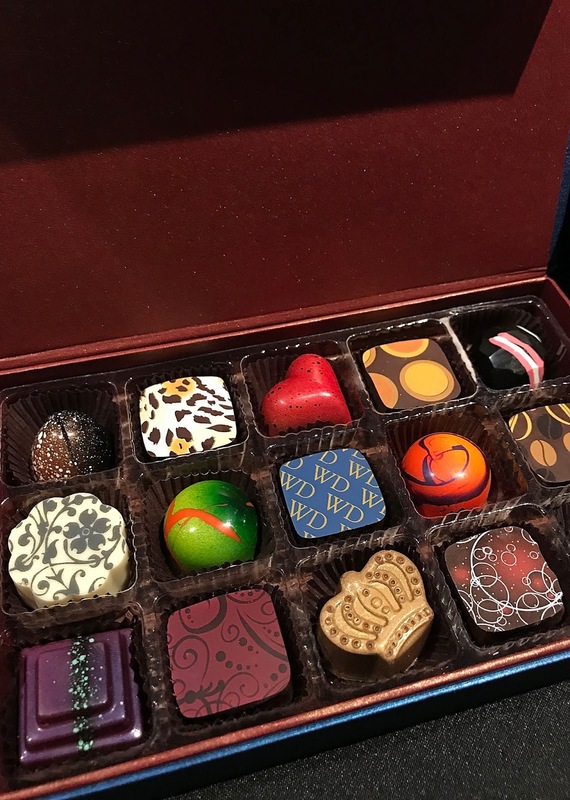 It was a great gift that I was able to share with my colleagues, and also save for later since each brownie is wrapped up. 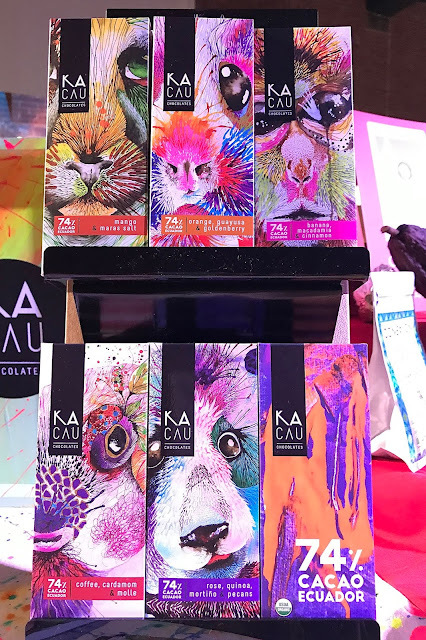 KACAU Chocolates had the most beautiful packaging I had ever seen! 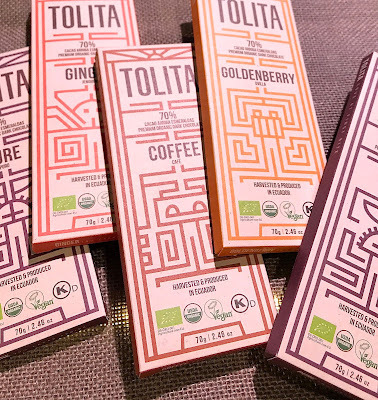 Each bar has its own identity and flavor. 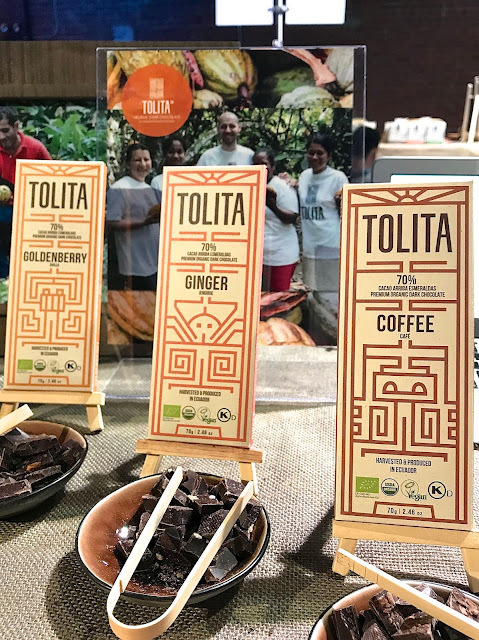 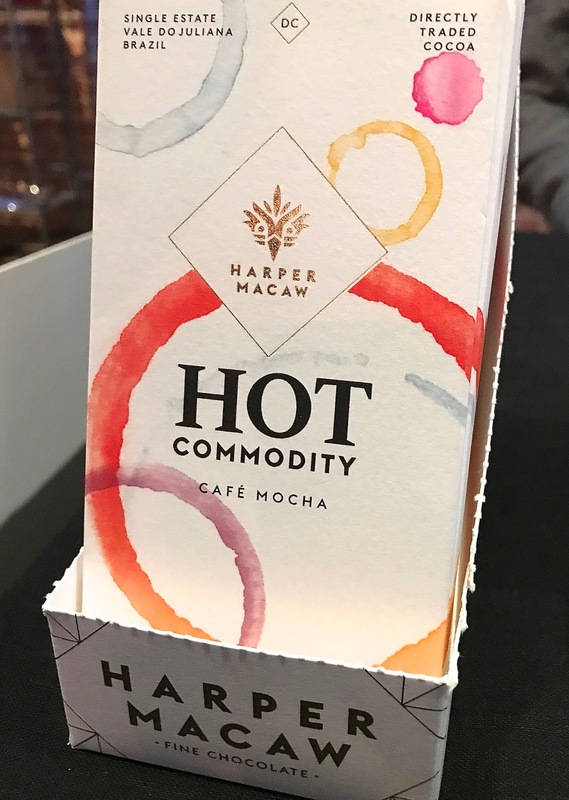 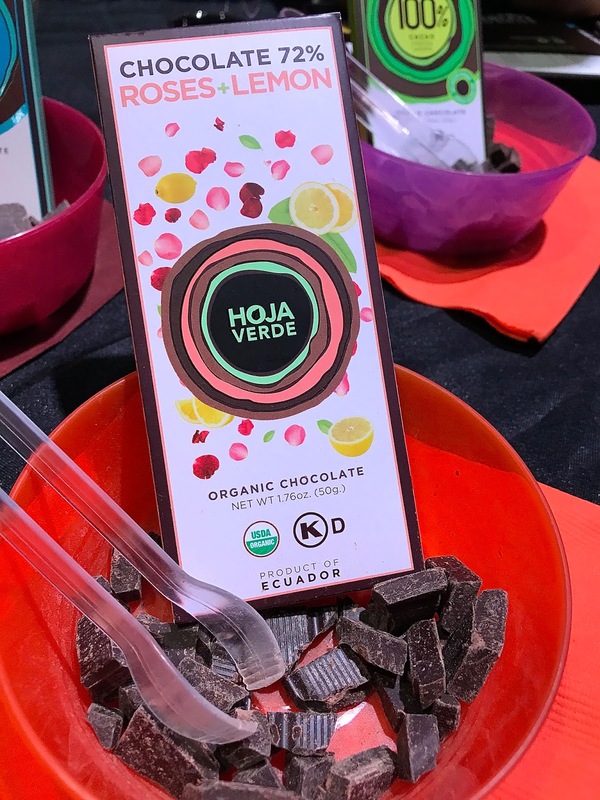 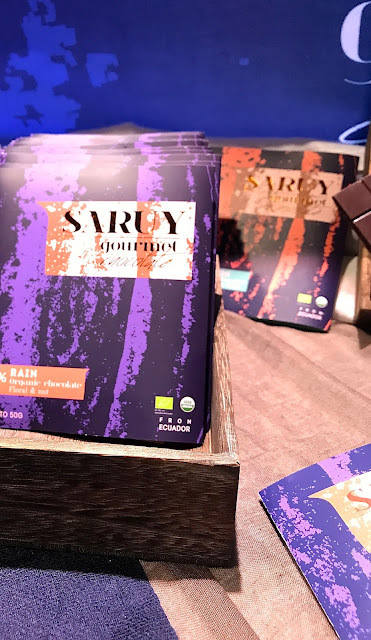 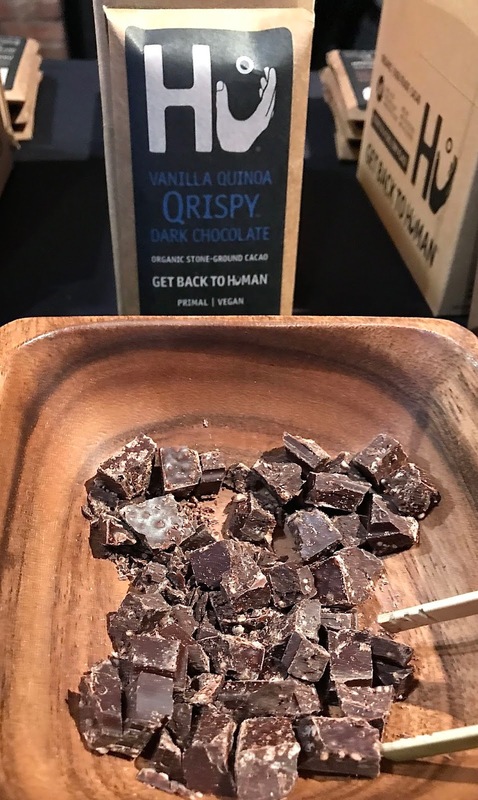 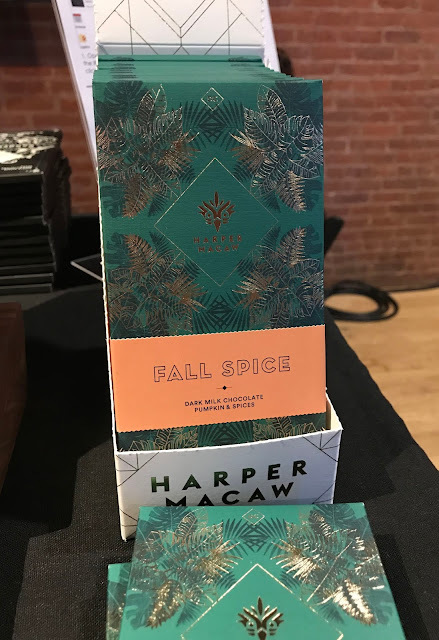 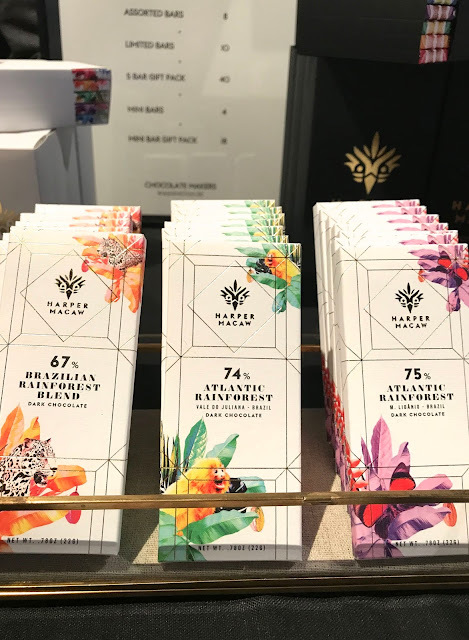 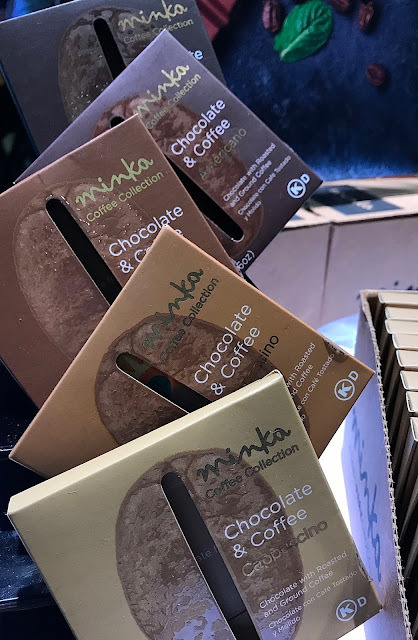 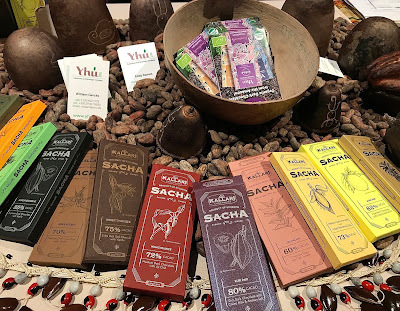 The bars are made with dark chocolate in different percentages, with the rich flavor of Ecuadorian cacao and a mix of spices, fruits and aroma.